There are no comments for The Harpist. Click here to post the first comment. 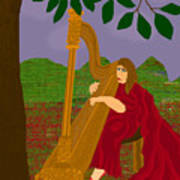 This is a digital art showing a brunette plucking the strings of a pedal harp.The harpist is wearing a red dress with a long train.She steps on one of the seven pedals of the harp with her left foot. 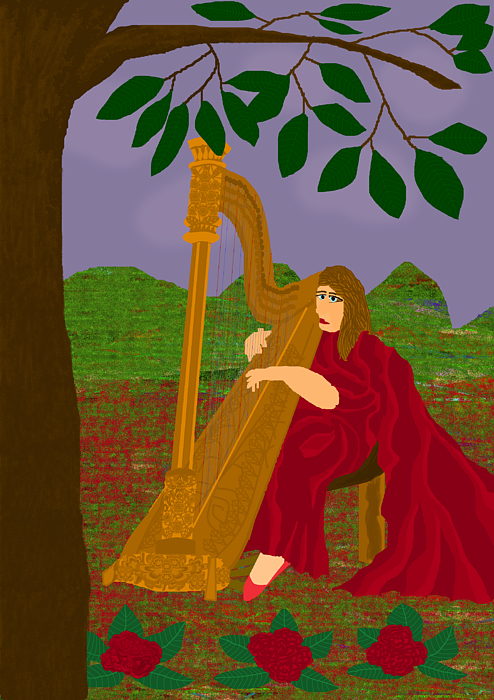 She wears a pair of red flat shoes.She is playing her harp in a garden. 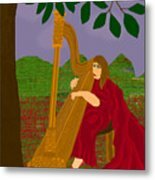 The garden has some roses and a tree.